Wide plastic barrel with rubber comfort grip. 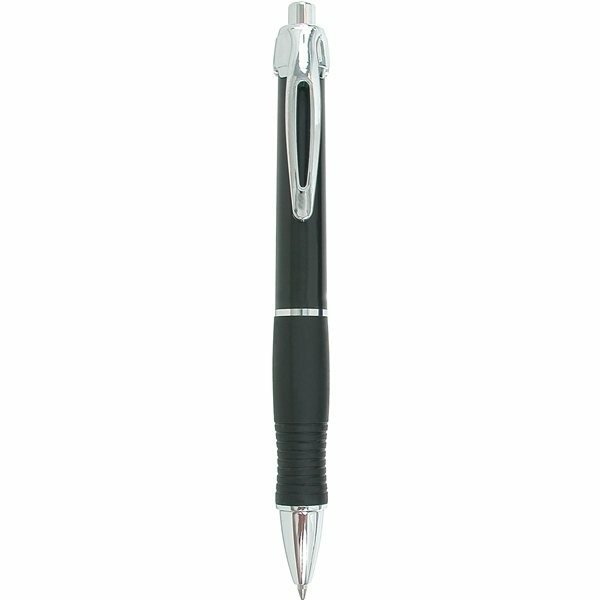 Medium point black gel ballpoint ink offers smooth writing performance. Ink colors match barrel colors. When you are ordering online you never know what type of quality items you are purchasing, but with AnyPromo you always know it is great quality! I needed something which did not take too much space and I could still easily carry in purse. Perfect. AnyPromo was quick to answer any questions I had and helped me get the product in time for an event I was attending! I liked the value and the design for the price. Looked just like the picture. We love the graphics and also the shape and size are wonderful. It was exactly what I thought it would be. Rosa was most helpful with all three orders I did through your company. I have kept her name for future reference. Fantastic buy and very useful.